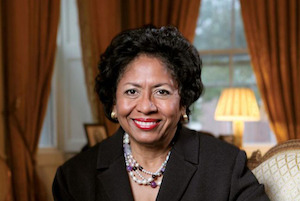 Dr. Ruth J. Simmons, who made history when she became the first Black woman to become the president of an Ivy League school, will become the next president of Prairie View A&M University. Simmons, who has been serving as the interim president since July, was the only finalist being considered for the position. Faculty expect that her prominence and experience as a leader in higher education will bring the cultural capital necessary to raise the research profile of the historically Black institution. Simmons’ first presidency was at Smith College, which began in 1995. From 2001-2012, she served as the President of Brown University for over a decade. She has served in an array of academic and administrative positions at universities across the country, such as Princeton University, Spelman College and the University of Southern California. She is currently on the Board of Trustees at Rice University and has served on the boards of Princeton University and Howard University. “I think this is one of the best things that could ever happen to Prairie View,” said Dr. Fred Bonner, a professor who holds an endowed chair in Educational Leadership and Counseling at the university. Bonner believes Simmons’ reputation and the relationship that she is developing with the institution will inspire students at the university. Simmons is no newcomer to HBCUs. Before completing her doctorate in Romance Literature at Harvard, she received her undergraduate degree from Dillard University, a historically Black liberal arts college in New Orleans. In the short time that Simmons has served as Interim President, she has demonstrated a commitment to breaking the barriers between the administration and the student body, said Bonner. She eats lunch in the dining hall and prefers that students call her by her first name, Ruth. “The tide is changing in higher education,” Bonner added. “To see someone of Dr. Simmons’s caliber, seeing her background and her experiences, coming to the HBCU context, I think it’s win-win on all sides,” said Bonner, who left an endowed professorship at Rutgers University several years ago to develop the Minority Achievement, Creativity, and High Ability Center at Prairie View. While recruitment and retention will likely remain a primary goal at Prairie View A&M, Bonner hopes to see a heavier emphasis on research at the university, considering Simmons’s career serving at several high-caliber research institutions.